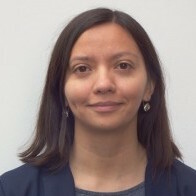 M. Beatriz Fernández is a faculty researcher at Alberto Hurtado University in Chile, where she serves as a director of a teacher preparation program. She received a Ph.D. in Curriculum & Instruction from Boston College. Her research focuses on education policy and social justice in teacher education. She has worked as an in-school consultant, lecturer, and coordinator for principal and teacher professional development programs. Dr. Fernandez has also researched teachers' participation in accountability policies and action research in teacher education. Her recent research (with colleagues) focused on the implementation of school networks in Chile. She is also a founder and a member of an activist organization against standardization in education in her country.